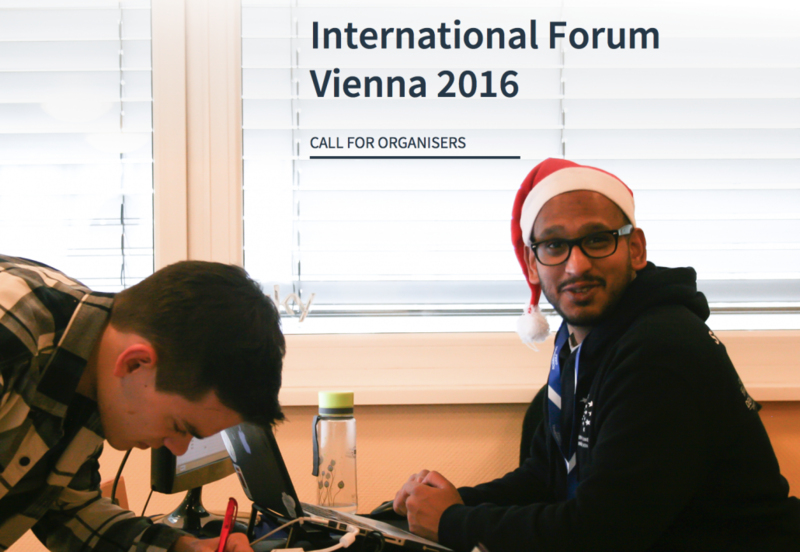 We are thrilled to announce that our second Call for Organisers for the International Forum Vienna 2016 is now open. It has been almost three years since EYP Austria’s last International Forum was held in Graz. Now we are excited to organise the next one, taking place in the beautiful Austrian capital Vienna from 18 to 24 May 2016. Aiming to create not only a session to remember, but a unique event that is incomparable to others, we are now looking to complete our team of Organisers. Therefore we are looking for EYPers who are eager and willing to work on this goal with us and our Core Team, while putting their own ideas into practice. Please note that Organisers will be expected to arrive two days prior to the session. Furthermore, there will be two preparation weekends for Organisers leading up to the session, the first of them taking place in the beginning of March, the second in April. Being part of this team will be a once in a lifetime opportunity to improve yourself, to shape a truly international event and to experience a unique session atmosphere in the lovely city of Vienna. To apply, please fill in the application form and submit it to applications@eypaustria.org. Due to practical reasons, only PDF files will be considered. The deadline for applications is Friday, 12 February 2016 23:59 CET. Late applications will not be accepted. For more information please refer to the Call Document. Join our team and apply! We are looking forward to your applications.